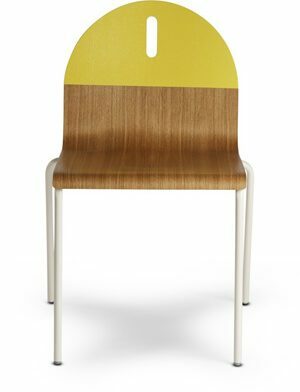 Under a mysterious magic spell, a retro-looking school chair is dipped in enchanted golden nectar, which washes away its austerity and crows it with a shiny aureole. Isn't this a typical school-time wish, while looking out of the window and hoping for a fairytale to begin? Nika Zupanc waves her magic wand and fills that dreamy silence with a loud, daring and essential design. A "golden" opportunity to make our childhood dream come true!